Freshly baked cake, sweet and tangy fruits, cold ice-cream. Is that not one of the most comforting combinations you can imagine? If you’re like me and find comfort in the act of baking (and then enjoying the spoils of that well spent afternoon), this is one recipe you should try. It’s easy enough to whip up in less than 15 minutes, but takes up enough of your energy that it works perfectly to shut down the background noise going on in your head. I’ve baked four of these cakes in the past 3 days (one for an order, one for an office potluck lunch, one for my mum, and another for an aunt) and have gotten to enjoy approximately 3 bites of it. Sometimes I wonder if I bake because I love desserts, or if I bake to distract myself from myself. I’m not entirely sure what I’m feeling right now, and to be honest, I’m not too keen to confront it just yet. Work has been fantastically rewarding lately, pushing me to my known limits of existing knowledge and making me learn a lot more as I go along, and I’m loving every single second of it. You know, I should probably edit this entry to talk of something more meaningful, but you’re not here to read about my life. So I’m going to just give you the recipe you came for. For the cake: Pop the butter and sugar in your electric stand mixer and beat until fluffy, then add the eggs and vanilla bean paste and beat until incorporated. Scrape the sides of the bowl, and add the flour, baking powder, cream and milk in one go and beat with the paddle attachment until fully incorporated. 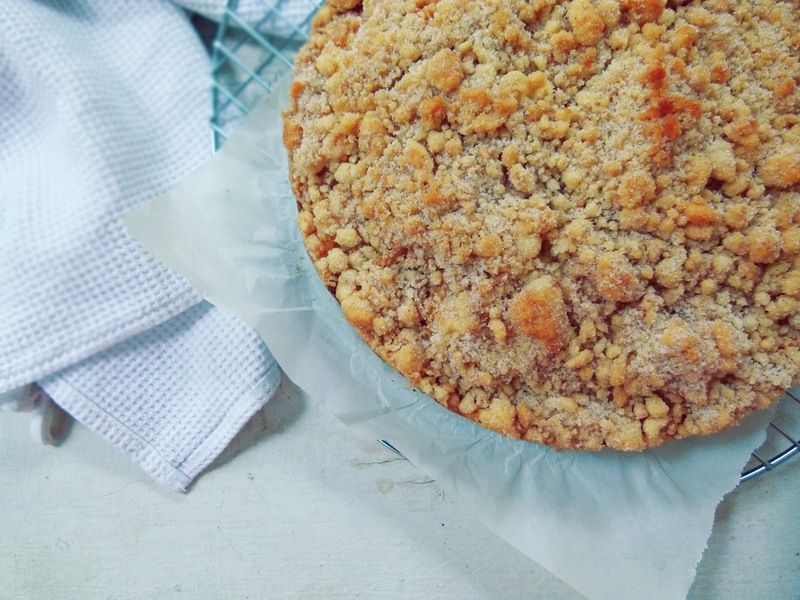 Transfer the batter into your prepared cake tin and arrange the apple slices on top. The crumble: Rub the butter and flour with your fingers until they resemble coarse crumbs. 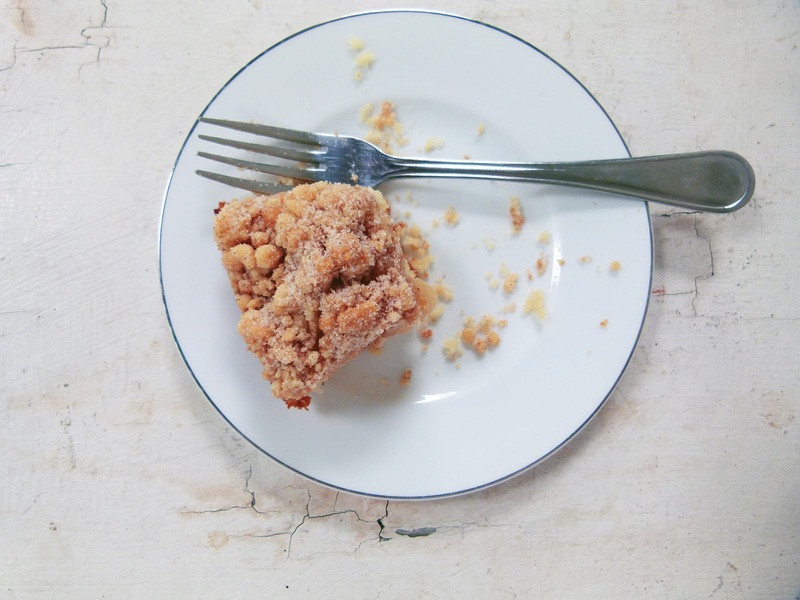 Stir the sugar and cinnamon through the crumble with a fork. 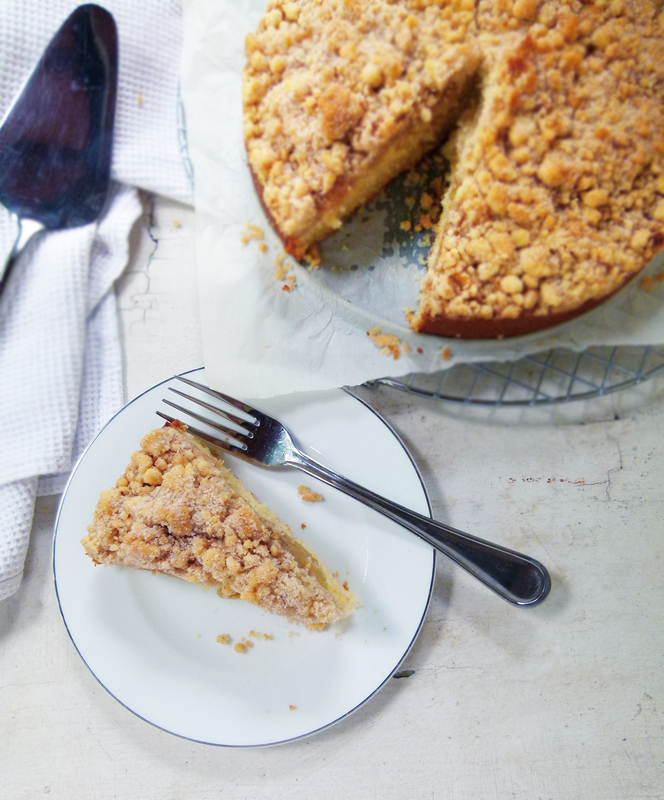 Pour the crumble over the apples and cake and bake for 1 hour 20 minutes. Cool slightly and serve with ice-cream!